Choosing the right Thermostat for your Portland, Oregon home can be as important as the rest of the system itself, giving you unparalleled control over the efficiency and efficacy of your home heating or cooling system. All new Thermostats from Pioneer Gas Furnace are Mercury-free; replacing your existing Mercury-switch thermostat is a great step towards improving the efficiency of your home heating system (Pioneer professionals can help you with proper disposal of these older thermostats, whose Mercury content is a significant environmental hazard). New digital thermostats are more accurate, responsive, and far easier to use. Programmable thermostats can store and repeat multiple daily settings (six or more temperature settings a day) that you can manually override with out affecting the rest of the daily or weekly program. When purchasing a new thermostat, look for the Energy Star label. 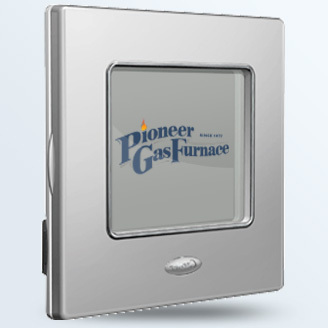 Pioneer Gas Furnace features thermostats from Honeywell, Carrier, and Nest, whose long history of reliable service and ease-of-use makes them perfectly suited for Portland, Oregon home heating and cooling control.